Celebrating 50 years of keeping the wheels turning. 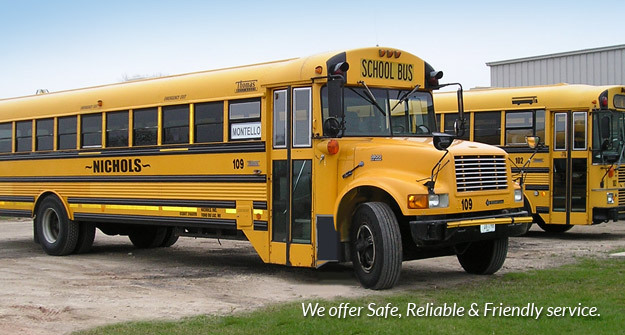 Let our personal service prove why we have been an industry leader in the area since 1962. 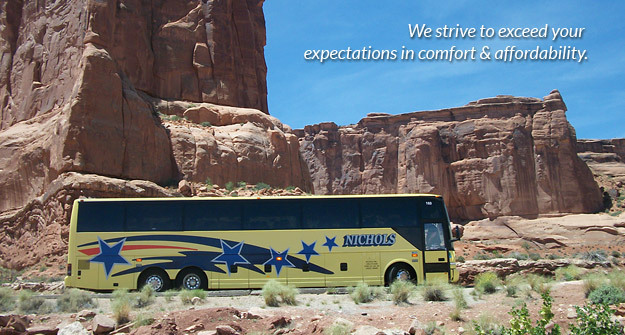 At Nichols Five Star Charters, our family-owned business strives not to be the biggest, just the best. Anyplace... Anywhere... that is our motto. 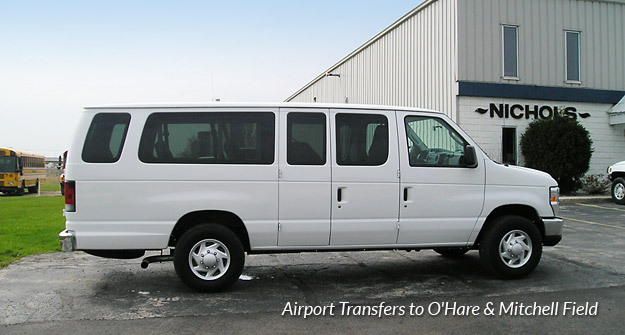 We provide each customer with an experience that keeps them coming back. 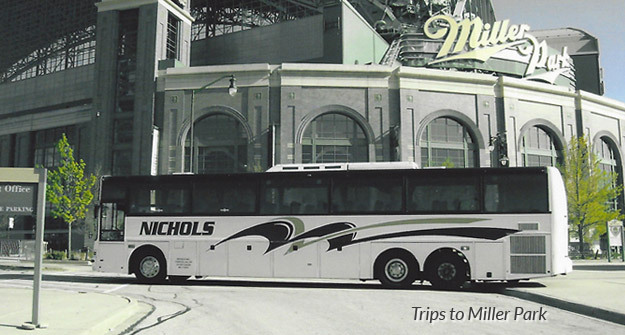 Whether your needs include a short airport shuttle or a long distance trip, Nichols can provide travel convenience, comfort and affordable rates. 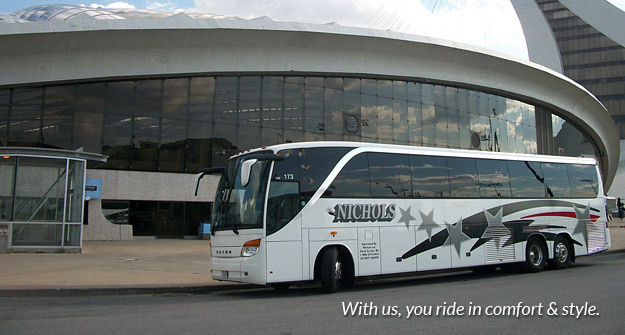 Keep in mind for your next trip that traveling in a group is less expensive, safer, more comfortable more environmentally friendly and much more enjoyable than “going it alone;” Let Nichols Five Star Charters drive you to your next destination. 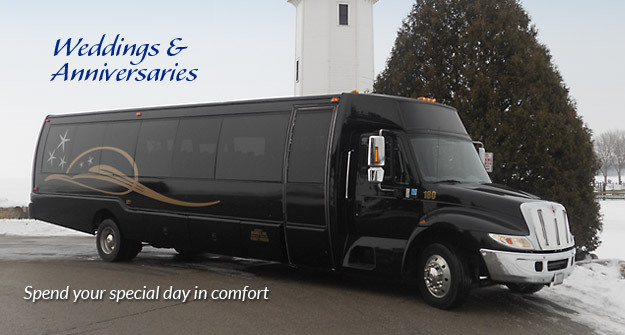 Spacious and plenty of amenities.